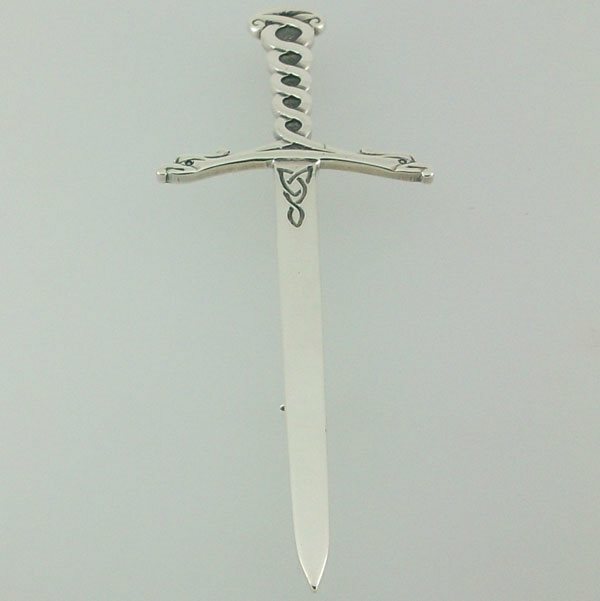 Celtic Claymore silver kiltpin with a celtic zoomorphic design.Designed by Hebridean Jewellery. I bought one of these to wear as a brooch when I was on South Uist last year. I have never gotten so many compliments on a piece of jewelry. My husband was born and raised on South Uist so it is a very sentimental piece also.